A n outrage! Geert Wilders is facing prosecution for inciting hatred. Apparently that is what happens in today’s Holland when you speak the truth. 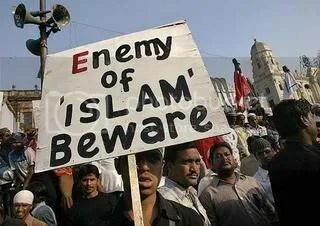 Islamic law prohibits blaspheming Islam. 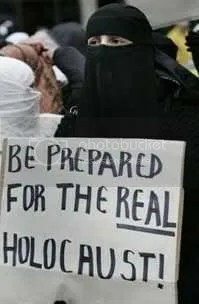 Is Holland an Islamic country???? The Freedom Party (PVV) is shocked by the Amsterdam Court of Appeal’s decision to prosecute Geert Wilders for his statements and opinions. Geert Wilders considers this ruling an all-out assault on freedom of speech. The Freedom Party leader now faces legal proceedings that will probably take years to conclude and will also involve enormous legal fees. Would Sir Winston Churchill have been charged with making anti-Islamic statements? Put on trial for committing a “hate crime”? 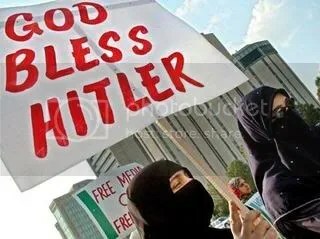 violence and has likened the Koran to Adolf Hitler’s Mein Kampf. Mr Wilders said the judgement was an “attack on the freedom of expression”. “Participation in the public debate has become a dangerous activity. If you give your opinion, you risk being prosecuted,” he said. Not only he, but all Dutch citizens opposed to the “Islamisation” of their country would be on trial, Mr Wilders warned. Geert Wilders film [Fitna] that has caused multitudes of Muslims to foam at the mouth with rage. As if they have a right to do so. The arrogant bastards. The film led to death threats against Geert Wilders. Bruised sensitivities vs human life. Guess who wins when the Islamic way calls all the shots. Not freedom of speech. Not human life. What gets me is that Wilders is facing prosecutition for speaking out. 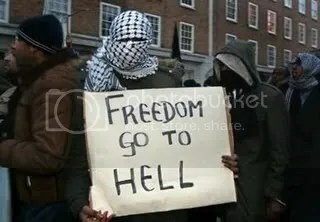 What of the Muslims across the West who are so bold as to carry placards such as I posted? Hate speech? Deadly threats? Antisemitism? If you haven’t already done so I urge you to sign this petition in support of Geert Wilders. 15806 Total Signatures Keep ’em coming! 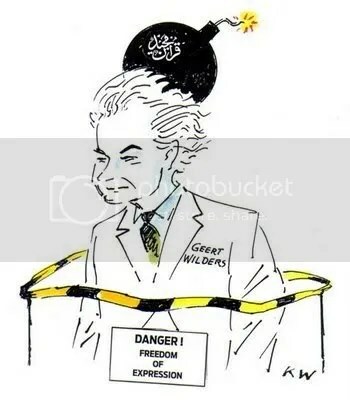 IT IS RESOLVED that, in the event that the Dutch government attempts, in any way, to punish or prosecute Geert Wilders, civilly or criminally, for exercising his freedom of expression, the undersigned will initiate a boycott of any and all Dutch goods. ← RFC Radio Is Getting Ready to Rock Your World!
. . . before the demands of Moslems for privileges of a dominant culture. The same thing happened to Bridgette Bardot. But all this fuss could backfire, imagine Wilders using the Koran as evidence in his trial, or calling Robert Spencer as a witness. Yes Wilders may eventually be exonerated but he will have to fight it to the end while his legal fees mount. Dhimmi legal jihad. Preemptive dhimmitude. It is preposterous that it has even came this far.